The last decade’s record of development in the physical sciences is outstanding for the discoveries, as unexpected as they are impressive, that have been made. The Royal Academy of Sciences has been accorded the task of beginning to carry out the noble intentions expressed by Alfred Nobel in his will dating from this fruitful period for the physical sciences. The great discovery, to which the Academy of Sciences resolved to award the Nobel Prize of 1903 for Physics, marks a stage in this brilliant expansion, while it is at the same time strictly linked to the discovery which won the very first Nobel Prize for Physics. Further to the discovery of Röntgen rays, the question was raised whether they could not also be produced in other conditions than those in which they had been first observed. During the course of experiments in this field, Professor Henri Becquerel achieved results that not only contained an answer to this question, but led to a new discovery of the first order. When electricity is discharged through a tube filled with highly rarefied gas, the phenomenon of radiation occurs in this tube. This has been called cathode radiation, which when it meets an object in its turn produces the rays discovered by Röntgen. It often happens that these cathode rays also give rise to phenomena of light, called fluorescence and phosphorescence, in objects they encounter. Now it is this circumstance which occasioned Becquerel’s experiments. He asked himself if the bodies whence the phosphorescent rays emanate, after having been subjected for a longer or lesser time to the action of ordinary light, would not likewise emit Röntgen rays. To solve this problem, Becquerel made use of the well-known property of Röntgen rays to affect a photographic plate. Having placed aluminium foil upon a sensitive plate, he laid glass laminae on it with the phosphorescent materials that were under study, contending that if the photographic plate was a£ fected through the aluminium foil, this could only take place by means of rays which like those of Röntgen had the property of passing through metals. Carrying his research further, Becquerel found that the sensitive plate bore images from certain substances, in particular from all the salts of uranium. He thus demonstrated that these substances emit rays of a special nature, distinct from ordinary light. Tests continued and he established an even more extraordinary fact, namely that this radiation is not in direct relation to the phenomenon of phosphorescence, that phosphorescent materials as well as those which are not can give rise to this radiation, that previous lighting is never necessary for the phenomenon to occur, and lastly that the radiation in question continues with invariable force to all appearances without its origin being traced to any of the known sources of energy. This was how Becquerel made the discovery of spontaneous radioactivity and the rays that bear his name. This discovery revealed a new property of matter and a new source of energy, the latter of puzzling origin. It goes without saying that a discovery such as this was bound to excite the liveliest interest in the scientific world and give birth to a whole host of new investigations with the aim of making a thorough study of the nature of the Becquerel rays and determining their origin. It was at this point that M. and Mme. Curie undertook the most comprehensive and systematic research into this topic, examining the majority of simple substances and a large number of minerals to find if possible new substances with the remarkable properties of uranium. The first discovery in this field was made at approximately the same time by the German Schmidt and by Mme. Curie, both of whom found that thorium possesses radioactive properties to about the same degree as uranium. During research, scientists have made full use of the property of the Becquerel rays, to make conductors of electricity out of bodies that are not so in normal circumstances. As a result, if rays of this kind fall on an electroscope charged with electricity, it will discharge more or less quickly, according to the greater or lesser activity of these rays which make the air round the electroscope a conductor. The electroscope has thus to some extent played the same part in respect of radioactive materials as the spectroscope in the search for new elements. M. and Mme. Curie, having thus found with the aid of the electroscope that the radioactive properties of the mineral pitchblende were more marked than those of uranium, came to the conclusion that pitchblende must contain one or more new radioactive substances. By breaking up pitchblende into its chemical components and examining, again with the aid of the electroscope, the radioactivity of the products that were obtained, they at last managed by means of a series of solutions and precipitates to isolate the materials that were distinguished by radioactivity of extraordinary intensity. Some idea of the prodigious work these results entail may be formed from the fact that it takes 1,000 kg of raw material to produce a few decigrams of these active substances. Of these, polonium was discovered by M. and Mme. Curie, radium was also discovered by them in collaboration with Bémont, and actinium by Debierne. Of all these materials, at least radium has been shown to be a simple substance. Becquerel had already shown by the study of radiation in uranium some of the most important properties of these rays. It was however only by means of the highly radioactive substances we have just mentioned that it became possible to carry out more comprehensive research into the Becquerel rays and in certain respects to amend findings on them. Foremost among scientists who carried out this programme, we find both Becquerel and also M. and Mme. Curie. Becquerel radiation resembles light in several respects. Propagation is rectilinear. Like certain light wavelengths, it has a strong photochemical action, causes phosphorescence, etc. Yet it differs from light in certain essentials, for example by its property to pass through metals and many other opaque bodies, by the intensity with which it brings about the discharge of bodies charged with electricity, and lastly by the absence of phenomena of reflection, interference and refraction, characteristic of light. In this the Becquerel rays are exactly similar to Röntgen rays and cathode rays. It has been found all the same that Becquerel radiation is not homogeneous, but is composed of different kinds of rays, some of which like those of Röntgen are not deflected by magnetic or electric forces, while others are, like cathode rays or Goldstein rays. Like Röntgen rays, Becquerel rays have a very strong physiological effect; thus, for example, they attack the skin, affect the eye, etc. Lastly, certain of the radioactive substances have a special property which bears no direct relation to their beams. This is to make temporarily radioactive all the bodies in their neighbourhood, by producing a radioactive emanation which communicates the radioactive property to the surroundings. It is thus beyond doubt that Becquerel rays are in strict relation to Röntgen rays and cathode rays. The modern theory of electrons, which is used to explain this last form of radiation, has also been applied with the greatest success to explain the Becquerel rays. We could close our account of the discoveries of Becquerel and the Curies at this point, as what we have covered is the main result of research they undertook early in 1903 and which is consequently to be considered in deciding the award of the Nobel Prize for 1903. 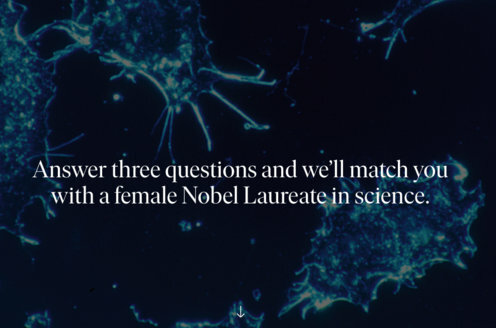 Surely the discoveries we have outlined are important enough to deserve such a prize. These discoveries have taught us that special forms of radiation that were only known hitherto by electric discharges through rarefied gas are natural phenomena of wide occurrence. We have gained knowledge of a property of matter quite new to us, the capability of emitting, spontaneously as it seems, these marvellous rays. We have gained new methods, infinitely superior in subtlety to any we had in this sphere, to examine under certain conditions the existence of matter in nature. Finally we have found a new source of energy, for which the full explanation is not yet forthcoming. It will evidently give rise to new research of the very highest value in physics and in chemistry. The discoveries of Becquerel and the Curies in their own right herald a new era in the history of the physical sciences. Now we can only touch on the magnificent experiments carried out in this domain last year by Curie who discovered in radium the great spontaneous development of heat, together with the findings of Rutherford and Ramsay on the release of helium by radium, discoveries that are bound to be of great importance for the physicist and for the chemist alike. The promise for the future stemming from Becquerel’s discovery seems near full realization. The discoveries and research of Becquerel and of M. and Mme. Curie are closely bound up with each other; the latter were of course co-workers. The Royal Academy of Sciences did not think it right to distinguish between these eminent scientists, when it came to awarding the discovery of spontaneous radioactivity a Nobel Prize. The Academy thus deemed it equitable to share the Nobel Physics Prize for 1903 by awarding one half to Professor Henri Becquerel for the discovery of spontaneous radioactivity, and the other half to Professor and Madame Curie for great merit, of which they have given proof in work on rays first discovered by Henri Becquerel. Professor Becquerel. The brilliant discovery of radioactivity shows us human knowledge in triumph, exploring Nature by undeflected rays of genius that pass through the vastness of space. Your victory serves as a shining refutation of the ancient dictum, ignoramus – ignorabimus, we do not know and we shall never know. It breeds the hope that scientific toil will succeed in conquering new territories and this is mankind’s vital hope. Nor is that all. This learned couple represent a team of differing nationalities, a happy omen for mankind joining forces in the development of science. With sincere regret that these two prize-winners are prevented by commitments from being with us, we are fortunate in having in their stead the distinguished Minister, M. Marchand, representing France who has most kindly consented to receive the prize awarded to his fellow-countrymen.